I first read the Qur’an in English translation at the age of 18 during the summer break following my ‘A’ level exams and the start of university. Up until then I had largely only read the Qur’an in Arabic – a language I did not understand at the time – at the madrasa. The translation that I first read was by Marmaduke Pickthall which my mother had bought for me some years previously and I had put it aside as I was uninterested at the time. Now, during that long summer, on beginning to read the Qur’an I was at once gripped by the authority and immediacy with which the Qur’an spoke. This really was like no other book I had ever previously read. The Qur’an repeatedly claimed to be Divine speech and demanded to be taken seriously by the reader. In the many years since that summer, I have purchased and read many different English translations of the Qur’an and have also sought out Western critiques of the Qur’an too. After all, a true faith should be able to withstand criticism, right? Beginning in the late 1970’s a revisionist school of thought appeared amongst some influential Western scholars including John Wansbrough, Patricia Crone and Michael Cook. This school claimed to have uncovered findings which undermined the traditional Muslim accounts of Islamic/Qur’anic history and argued that the Qur’an was not revealed to the Prophet Muhammad in the early 7th century (610 – 632 CE according to traditional Muslim accounts), but was produced much later. Wansbrough argued that the Qur’an was produced in the late 8th/early 9th century during the Abbasid era. If true, these claims would cause immense damage to the Muslim worldview. 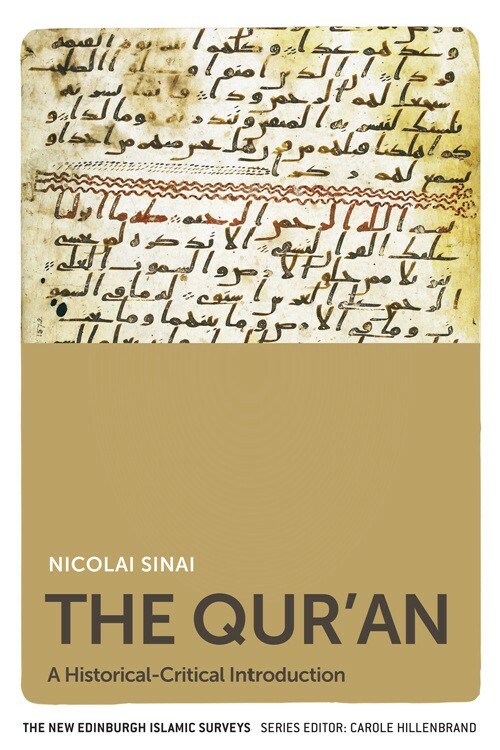 In his latest book “The Qur’an: A Historical-Critical Introduction“, Nicolai Sinai, an Associate Professor of Islamic Studies at Oxford University, says that the “…aim of the present book is to induct readers into the current state of the historical-critical study of the Qur’an.” His findings will be of interest to many Muslims and some detractors too. Sinai quickly disposes of the revisionist school’s arguments. In the years since Wansbrough/Crone/Cook made their claims a number of Qur’anic fragments have been discovered – including a few years ago in Birmingham – that appear to strongly support the traditional Muslim account of the Qur’an’s genesis. Sinai’s book also takes a look at how in the past many Western scholars had simply assumed that the Qur’anic suras (chapters) were roughly compiled out of groups of verses and observes how by contrast “a growing tendency in Western scholarship since the 1980s has insisted that many Qur’anic texts are in fact much tighter literary unities”. This is an interesting development and some Muslim readers will recognise that the late Pakistani Islamic scholar, Amin Ahsan Islahi, was one of the pioneers of this school of thought. Overall, Sinai’s book has much to recommend it. His conclusions do not mean that the Qur’an is God’s Word of course – and I have written previously of how certain Qur’anic passages do pose a problem for modern readers – but it does serve to confirm that the traditional Muslim accounts of the Qur’an’s birthplace do appear to be sound. This entry was posted in Books, Islam and tagged nicolai sinai, patricia crone, qur'an, tom holland. Bookmark the permalink.